The 2011 growing season in Washington State was particularly cool and the wine reflects this. 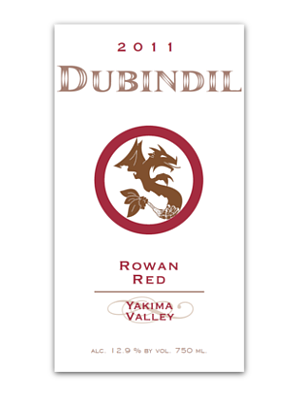 Our 2011 Rowan Red soft and reserved with slight Salmonberry fruit notes, hints of bell pepper, herbs, and a touch of dusty tobacco. The low alcohol compliments the tannins which are nicely balanced with pleasing acidity. Pairing Notes: It is a great all around wine pairing perfectly with everyday Italian dishes.